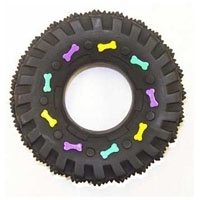 Durable vinyl toy tire has a squeaker inside for added fun!. Great for all breeds. 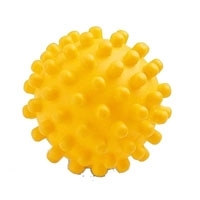 Durable vinyl toy ball in an assortment of colors with a squeaker inside for added fun!. Great for all breeds.